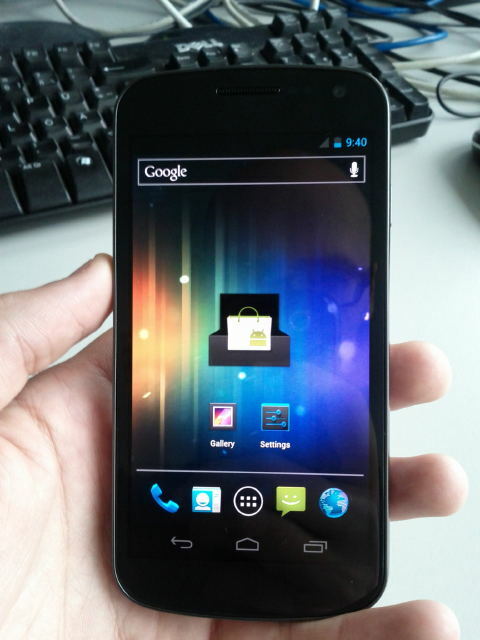 Home / Google Android / Technical / Galaxy Nexus Revealed! So there you have it. There was apparently a video to go with it, but it got pulled in record time. Only 4 days until the official announcement, and I cant wait! I will say I have my suspicions about this leak. The icons all look different from the ones in the various leaked videos, not to mention the colored clock looks strange (bad in my opinion). Nothing much else to be said except that all will be cleared on this Tuesday. Counting down the hours. It better go to all 4 American carriers. Take out the iPhone 4S in one swoop. « Previous Article Steve Job's Biological Father - Resemblance?